From a Mk 20 to a Mk 13, the 40 Sniper Pack discretely carries a weapon system and your basic kit. While it comes with our super light & super strong eGlass frame system, you could use it with an Alice frame should you so desire. Please specify whether you want the tight or the wide shoulder straps as pictured below. The tight shoulder straps will ride outside your plate carrier, while the fatties are big and fat and wide. CiloGear developed the 40 Sniper Pack specifically to carry the large precision weapon systems fielded by SOCOM, such as the MK-20 and the MK-13. The pack is robust yet light. We included all the special sauce that makes a CiloGear Pack just right for all of the guys operating out of the short bus. The weapon system can be carried diagonally or vertically as the user determines optimal. The pack is both a top loader and provides easy front access through the #10 YKK zipper on the front. The pack possess significant internal organizational capabilities without adding too much junk or extraneous pockets. 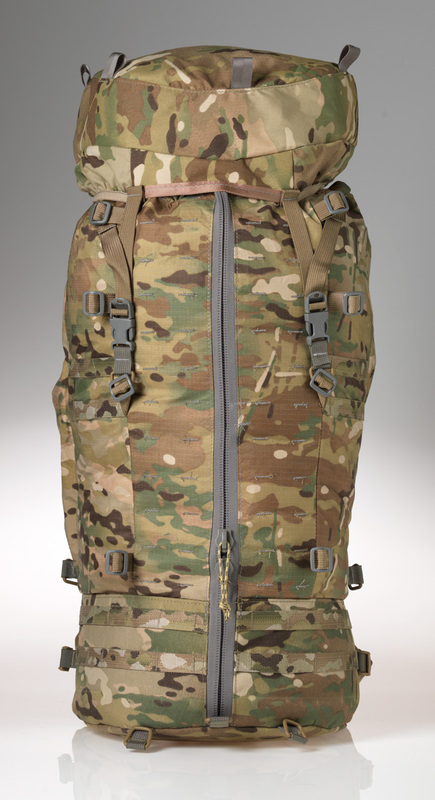 The pack can be stripped of the frame system, the weapon catch, the hipbelt & lid and all straps. The shoulder straps are adjustable in length to fit plates. The framesheet and gun caddy are both thermoformable to provide optimal retention and tight carry: after all the goal is that no matter what the user is doing, the gun should not move.